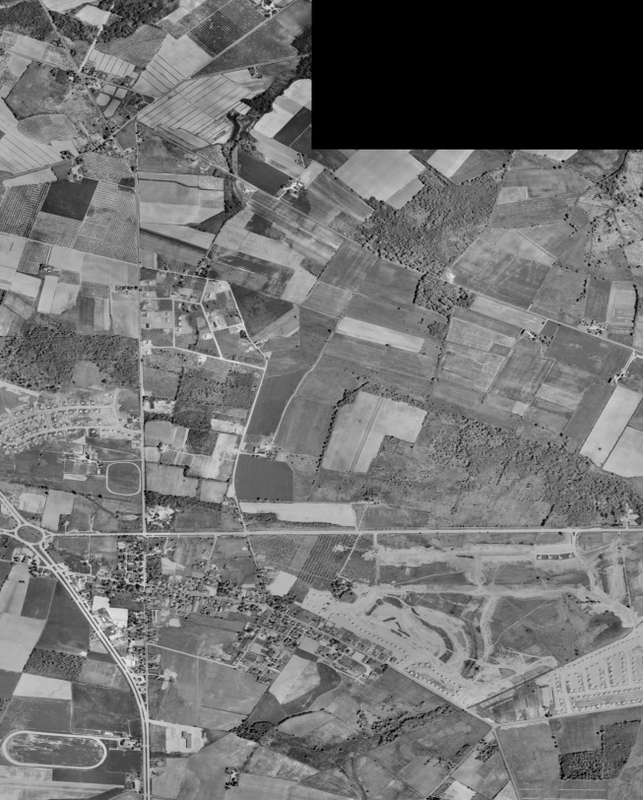 The photos below, taken in 1957, show the Marlton Circle area of Evesham. transition from rural to suburban. In this photo we can see the Georgetown development being built along Main Street, this development was completed as Heritage Village. Note the model home exhibit along Route 70 which is the horizontal line running through the photo. 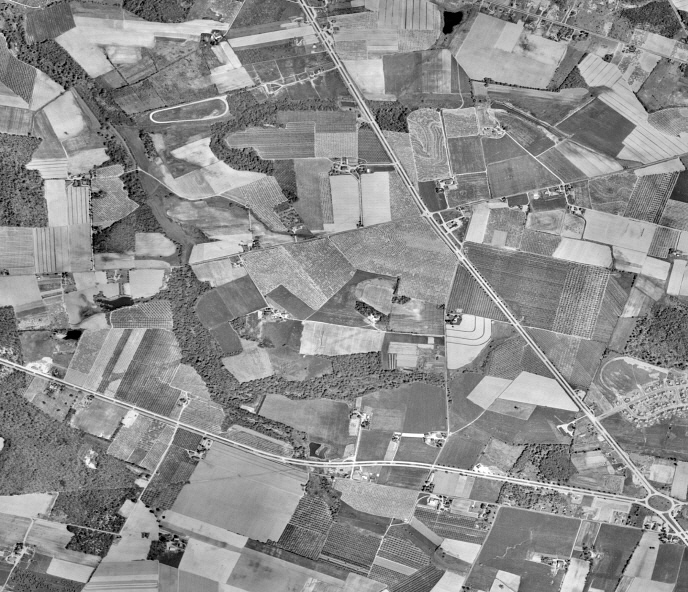 Along the left center Marlton Hills is shown. Also F. V. Evans School, seen in the lower left section of the photo, was alot smaller than it is today. The black rectangle at the top corner was part of the photo. This photo shows the area west of Marlton Circle. Recently completed homes in Marlton Hills can be seen above the Circle. Across Route 73 from this Hedges Diesel, an early industry in Evesham, is shown.